LEGO® SERIOUS PLAY® is a technique where people use LEGO® bricks to follow through a series of structured exercises during which they build things that represent metaphorically their personal or business challenges. Watch the video introduction to LEGO® SERIOUS PLAY® below. What else is LEGO® SERIOUS PLAY®? LEGO® SERIOUS PLAY® is a methodology that helps teams to become more effective by fostering creativity, sharing and reflecting. During LEGO® SERIOUS PLAY® sessions, teams build metaphors while they play with LEGO® bricks. LEGO® SERIOUS PLAY® is a consultant service offered by a LEGO® SERIOUS PLAY® facilitator. Its goal is fostering creative thinking through team building metaphors of their organizational identities and experiences using LEGO® bricks. LEGO® SERIOUS PLAY® approach is an innovative, experimental process designed to enhance innovation and business performance. Who can use is LEGO® SERIOUS PLAY®? LEGO® SERIOUS PLAY® is Open-source. This means that whoever would like to try it out can do so. 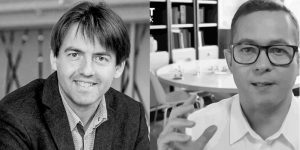 Just buy some LEGO® bricks, read the Open-source guide or some books, learn the technique by watching some videos. If you want to learn more then you may attend one of the upcoming open training sessions. If you do not find an event close to your location then just post your request to find a trainer or a mentor to the Facilitator Marketplace. 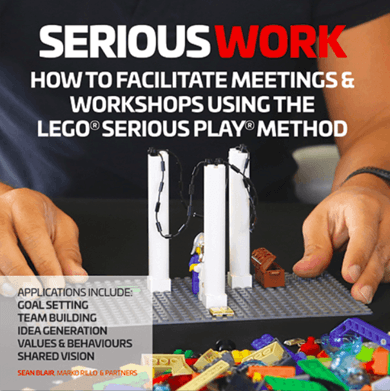 How to get best results for your work with LEGO® SERIOUS PLAY®? If you are a client who is looking for somebody to help you with your meeting we suggest you to find trained LEGO® SERIOUS PLAY® facilitators. If you are interested in finding a facilitator for your event then please post your request to our Facilitator Marketplace or just send your message using the contact form below.